My life is defined by stages. As soon as I think I’ve got the hang of one stage, it’s over and a brand new one starts. 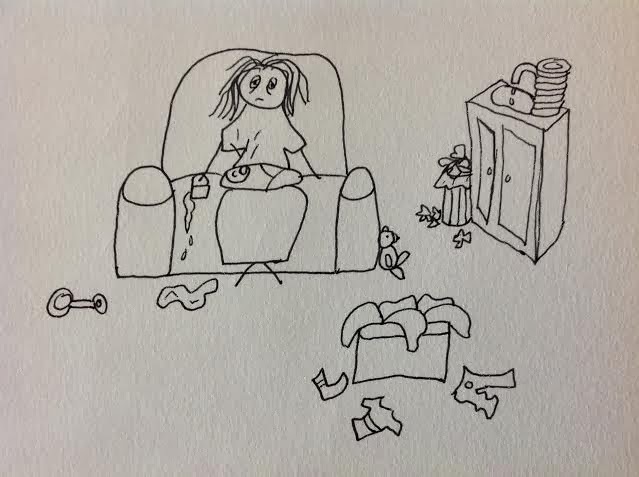 Last week I was sitting on the couch with my toddler. This stage of raising kids is full of transitions. Three naps a day, two naps a day, baby food, table food, crawling, toddling, spitting little piles of chewed up food on the couch (yes, that’s a phase in our house), etc. It can be so encouraging to know the current stage won’t last forever. But if we constantly live for the next stage we will miss something precious in the meantime. Do we realize that by the time they can do all those things they will be gone? We won’t get another chance to embrace those moments. We can spend their whole childhood wishing it was over – not because we really want it to be, but because it can be so stressful that looking to the future eats up precious time spent in the present. Moms don’t have to go far to find those who are hungry and afflicted. Do we think of meeting their needs as “pouring ourselves out” for them? It’s the opposite of holding the unpleasant stage at arms distance. It’s fully embracing it. Not every stage is rainbows and flowers. Some stages are a “pouring out” of yourself. How do we do that? When you want to moan, pray. When you want to yell, hug. When you want to sigh, sing. Once in awhile a well-meaning woman smiles at me and says, “Enjoy every moment! It goes by so fast.” It’s easy for us young moms to cringe at that statement because not every moment is enjoyable. Sometimes we feel guilty that we can’t enjoy every second of it. Some stages are great and others are genuine trials. They are painful, messy, inconvenient, exhausting – but each one is God-given. In those difficult moments we catch glimpses of God’s grace and then turn around and give that grace to our children. I can’t wait for my husband to get that promotion. I can’t wait to get that part of the house done. I can’t wait to reach my goal weight. I can’t wait to get through postpartum depression. I can’t wait for this painful trial to be over. Don’t wait, moms. This is your chance to pour yourself out for the weak. This is your chance to see a depth of God’s grace that you’ve never experienced before. There are a lot of people waiting to be content, waiting for the current stage to be over. It’s the “grass is always greener on the other side” mentality. But if we can’t learn to be content in our current stage, we won’t be content in the next one either. When it comes to contentment it isn’t about what’s next – it’s about what’s now. Every stage of life is a gift and an opportunity. When they pass they will be gone forever and new ones will be given. Live in the present. Accept this current stage as your very particular calling from God. “I have read SO many parenting books- and it seems they fall into one of two camps: practical advice or a theological perspective. 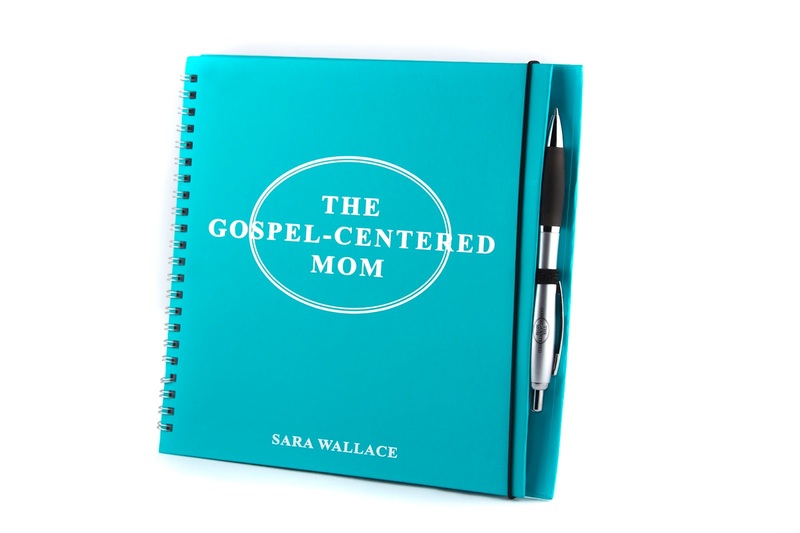 This book is my new favorite on the subject of discipline because Sara beautifully addresses both: the heart behind the discipline and the practical tips and how to, sharing stories and examples from her own life as a mother of 5 boys.” – Ashley. As always, your “mommy posts” appeal to this non-mommy. I have been fighting for contentment and this is a reminder that I can pour myself out for other during this trial, rather than waiting to do so until the trial passes. Gosh, every single time I read one of your posts I'm just left with a “wow”. You articulate God's truths for mothers so well, cutting right to the heart of our struggles and pointing us to the grace we need in Christ. Thank you for sharing that verse from Isaiah, I am going to write it out right now for my encouragement. And thank you for blogging – you're a gift! A few posts ago, you mentioned that you could recommend some good gospel-centered Bible study material for a women's study group. I cannot figure out how to find your email to ask for recommendations privately (I used to be tech-savvy, ten years ago…), so I am giving up and just asking in a public comment. Thanks for this encouragement. As I watch my infant grow, I feel like I am afflicted with the opposite challenge: not being willing to let her grow up and move on to the next stage! Holding on to the current stage too tightly can also cause us to miss out on things. I'm trying to let her grow up and not be sad as I wave goodbye to those moments that are gone forever…and just remind myself that this next stage might bring moments I love just as much. I can relate to this so much!! I find myself thinking about what it will be like to sleep an entire night through again. What it will be like to have my body back to myself (aka, weaned baby). And what it will be like to be a good wife again. But then I look at my baby girl and her smile and the apparent love she has for me and I tell myself, no, you HAVE to enjoy this. We will never be here again. Yes, Lord willing, there will be more babies but we, Jenni and I, will only be here once. I will only have one baby once. Someone told me that this is my way of being selfless and Christlike, caring for a baby. I had never thought of it like that. I haven't given it a second thought to help my helpless child. I just do it ! But when it's hard and I really would rather be sleeping, I'm achy or I miss spending alone time with my husband, I remember that I am doing good work. And Jesus did much more for me than I could ever repay or do for anyone else. Yup! I have that too! I'm a roller coaster. I miss the stage that's over but at the same time, I couldn't wait for it to be over. *sigh*. I guess I don't know what I want. Thank you for your encouragement, Melissa! Glad that passage struck a chord with you, too! It's a verse that I hadn't remembered reading before, but suddenly it seems so applicable. Hello! My favorite Bible study by far is the “Living Word Bible Studies” series by Kathleen Buswell Nielson. I believe there are at least nine studies available, each on a book of the Bible. Each study is rich with gospel-centered theology. The homework is very manageable for busy moms. I appreciate that the questions are focused on the Bible instead of subjective feelings. It lends itself well to group discussion. That was beautifully written. My children are grown now. Being a mother is the most selfless thing I have ever done. I would ask my friends, ” What did you like to do before you had children?” I remember having 3 in diapers at the same time. God gave me the message that he gave you about my ministry now is to feed and nurture these little ones. There is always something that you really enjoy in each stage. Stay focused on that, because that too will not be there in the next stage. The beauty is that we can choose to focus on what we want to focus on! You articulate so well what we all felt and feel. Thank you. So well thought out and written. Thank you! This is so well-written and such a great reminder! Thank you! I'm a grandmother of 11. Thank you for reminding abut the joy and happiness that God has given me .sometimes it gets overwhelming trying to spend enough time with them. But I do know that they are all blessings and to enjoy every moment. I wish I knew this when my children were little. It took until I had grandchildren to appreciate the moments with my children. I thank God everyday for the many blessings and pray that I'm able to enjoy every moment and teach my children to enjoy every moment rather than complaining about doing the things every parent does out of love for their children and their love for God. As mother's we have a very important job. We have to teach them how to love unconditionally and set good examples. Thank you Lord for all your love and guidance. I too am a Grandmother now, and I read your blog with tears. How I remember those days, I tried to enjoy them, remembering that “this too will pass” now I try to impart that to my daughter as she brings up her little ones. It also brought to mind that I just went through much of the same scenario with my elderly Mom, who went to heaven on Mothers Day. Cleaning up spilled food, helping to change after an 'accident' etc. But I have no regrets, there were times I felt overwhelmed I would have to tell myself thank you Lord for being able to serve the one who served me my whole life. All you Moms out there, hang in there and take time to smell the roses among the thorns. Faith in the trials. Such a good reminder that our mission and great commission start in our homes. Thank you for writing this! I am at the opposite end of the spectrum – my youngest is 21 but we've had my bedridden mother-in-law in our home for a year now. I have to frequently fight the “tied-down” feeling and remind myself that ministering to her is my calling now. Your post helped. My life is not mine to live, it is to be poured out for Him. Thank you. I needed to read this today!! I hope a lot of young women and mothers read this and take it to heart. I am now a grandmother and it spoke volumes to me!! I cannot wait to read your next posts because I know God has tons more encouragement and truth to share with me through them! Through you! I love how you encourage us to re-frame the situation/stage we are in, that cleaning up vomit (or changing wet crib sheets every morning) is us practically pouring ourselves out! That is such validation! It's rarely taught/clarified from leadership in the church that a mom's mundane work IS her ministry, that her children are her disciples, and that her constant busy-ness and never-ending care is her being poured out as a drink offering, a living sacrifice to the Lord! Thank you for helping me see it this way, giving new purpose to my life as a stay-at-home-mom/homeschooler! Thank you for your posts. They really help me. Every time I feel exhausted I find encouragement in your posts. I am from Ukraine and I am blessed to speak English. I called my friend and read this post for her. She said it was what she needed to hear in her situation. That day I thought of other young moms in my church. We ALL need encouragement. and there is no blogs like this in russian. May I translate your posts in Russian for moms in my church? Absolutely! I'm so excited to know that moms around the world are receiving encouragement from the gospel. Let me know if there is anything I can do to help. This is really good. The theme of “embrace your season, whatever it is,” has been big for me. Sometimes it's good to be reminded of it. If we know the One Who holds our moments in His hands, we realize that we can be thankful no matter the season, and receive and live out all it has to offer. Thank you for the reminder, J. God's choice of seasons for us is based on His infinite wisdom and love, not on what we think is best for ourselves. As a homeschooling mama way past the toddler stages I can attest to all that you have written. The time does go quickly and the time to make those memories of a crazy, uptight, anxious mama versus a Christ-anchored, grace-filled mama is short. To be content… Paul says it is a learned attitude, “for I have learned in whatever situation I am to be content.” Philippians 4. May we all be students eager to learn this lesson for the sake of our families and the glory of God. Thank you for the reminder and encouragement. Your heart felt testimony brings swelling joy to my spirit, for certainly you have captured the essence of Prov 31. May HE continue blessing your path with Wisdom's Way Prov 3:5-7 including the context.